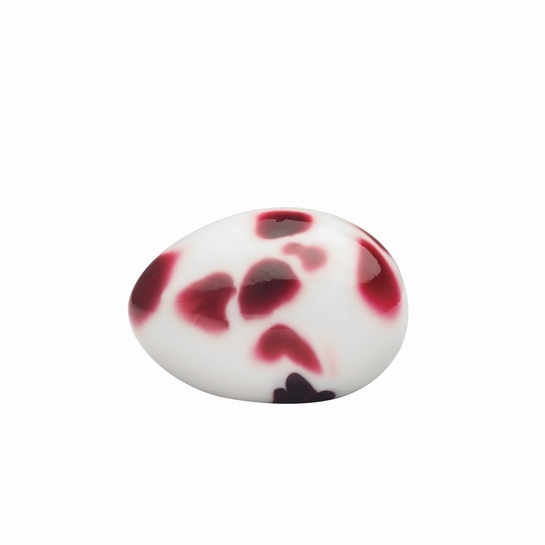 More about iittala Toikka Rosalinda Egg Petite and pretty, the Rosalinda Egg's name translates to beautiful rose. The milky white oval is adorned with petal-like spots in a rich, rose hue; just like that of the iittala Toikka Rosalinda Bird. The bird, sold separately, was originally introduced in 2007 but is back as a special item for a limited time. Both the Rosalinda bird and egg are exclusive to the United States. The egg has a flattened bottom that allows it to rest safely on its side. It is smaller than most Toikka eggs.